Kihalani is no stranger to the words "Great Service". As a Wife, Mother, Desert SHEILD/STORM & IRAQ War Medal Veteran, Retired Air Force Veteran, and Community Volunteer - she understands and knows full well what it takes to provide great service. Understanding the needs anddesires of thepeople that she comesin contact with -is the first step she takes to providing that "Great Service. "When it comes to Real Estate - it's not just about Location, Location, Location - toKihalani it'sabout "Listening, Listening, Listening" - listening to what's important to her clients and their family; it's about having atwo-way"conversation" to help them achieve their Real Estate goals and objectives. Kihalani serves theJamestown, Williamsburg, Yorktown, Newport News, Hampton, Norfolk, Isle of Wright, Suffolk, Chesapeake and Virginia BeachReal Estate market areas. She enjoys servinghomeowners who are serious about getting their home to sell at "top-dollar",first-time home buyers whoare excited abouttaking their first-step towards home ownership,military veterans, corporate relocations,and investors. Call Kihalani today to schedule a "private" consultation to discuss your needs, desires, andreal estate goals - she'll go over all the possible options thatare available for each situation and help you make an informed decision when it comes toone of the most important assets youhave...your Home. 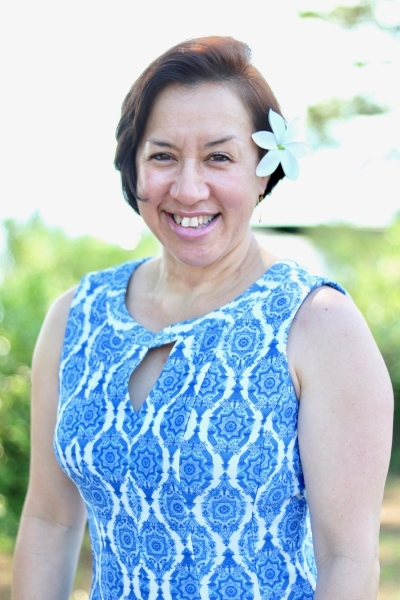 "When we met with Kihalani we were apprehensive because we already had a bad experience with an agent who didn't listen to our needs and felt very pushy. Kihalani was the exact opposite. She asked lots and lots of questions to learn what we were looking for (and knew what to ask to help US learn what we were looking for). She very patient and never pushed. Every house she chose for us to look at fit the idea we gave to her, and she was always happy to incorporate new information as we learned what else we didn't like. We probably went to dozens of houses. She was incredibly patient as we figured out exactly what we wanted. As new home owners we were nervous and felt like we didn't know much. She always answered our questions and gave us new information to think about. And she kept us informed through every step of the way. She always seemed to have our best interest in mind. Importantly, she was always pleasant, and even-keeled. She kept us calm when we were nervous. She helped us understand the closing process so we always felt informed. And she was always so responsive! She always got back to us immediately, and would schedule visits quickly when we saw a new home we wanted to check out. Kihalani was amazing, and very thoughtful, and fun to work with. We highly recommend her! " "We are first time home buyers, and Kihalani Payton was the best realtor for us. She listened to what we wanted and presented us with several properties. If she thought it was a good fit for us, she would let us know about properties that were outside our original looking area giving us plenty of options, but was never pushing us and respected our answers. When we found the home we wanted to pursue, she quickly got things going. When we were ready to walk due to the homeowners not budging on price, she was the one that got the house for us. Throughout closing, she constantly kept us updated so we knew things were moving and would even step in as our advocate with the bank when we couldn?t get them to get things done. She was very easy to communicate with, and always answered our calls or questions in a timely manner. She wrote the contract well so that we were able to get more than what we asked for on certain terms. We were able to close and move into our new house a month after starting negotiations. As a bonus, our two year old loved Mrs. Kihalani and couldn?t wait to see her and play with her when we had appointments! She made what could have been a stressful process an easy one for our family when we needed it most. " "I cannot overstate how exemplary the service of Kihalani Payton was during the house hunting and purchase process. She was ALWAYS two-steps ahead of what needed to be done. I cannot recommend her highly enough nor overstate how enjoyable she is to work with. I do not hand out praise lightly (much less write it). Do yourself a favor and take advantage of Kihalani, I was lucky...you're informed"